In case you missed it, Taco Bell's new Quesalupa will be available nationwide on February 8, 2016 but you can get it two days early by pre-ordering now. They're still trying to keep it under wraps leading up to the reveal this Sunday, but the "mystery item" can be pre-ordered now at Ta.co/preorder. The suggested price is $2.99 each and you can order up to five of them. The reserved Quesalupas will then be available to pick up from your local Taco Bell restaurant on Saturday, February 6, 2016, from 2 PM to 4 PM local time. 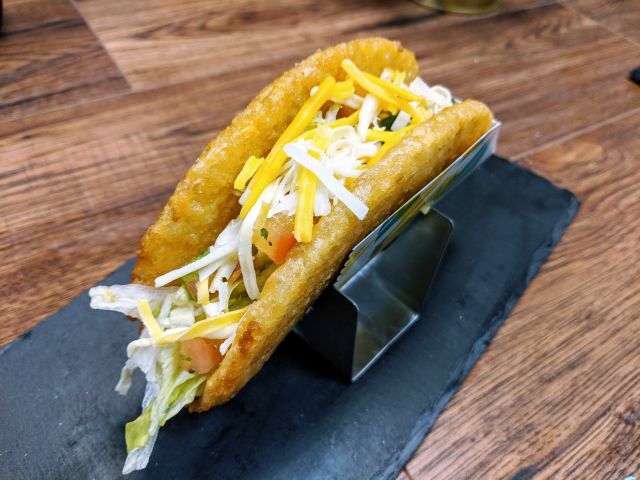 The Quesalupa's main feature is a chalupa-like shell with a melted cheese core. The fast food chain is hoping the item will be their "biggest launch to date."